View never seen before photos from today's journal and past travels from this summer. Straight from the Keepers of the Cup! View videos from the summer-long travels with the Stanley Cup. A unique and entertaining look at the world through the eyes of hockey's Holy Grail. Bright lights, big city, Broadway! The Stanley Cup took a sidetrip to New York City on Sunday, June 24, preparing for a day of media interviews with young Ducks' sniper, Ryan Getzlaf, the next day. At oh-my-God o'clock early on Monday morning, the Stanley Cup met Ryan Getzlaf at the Time and Life Building offices of Sports Illustrated for Kids. After a tour of the offices and meeting mascot Buzz Beamer, Ryan and the Cup did an interview for the website (www.sikids.com). Meanwhile, over at National Hockey League headquarters, Gary Bettman was in the midst of one of his regular chat sessions with staff. There, high above Manhattan on the 47th floor, the commissioner exchanges ideas with other employees. Without warning (wink, wink), Ryan burst into the boardroom with the Stanley Cup, and a delighted group gasped with excitement at seeing hockey's most prestigious trophy up close. Mr. Bettman invited the Anaheim star to put the Cup down and sit in on the meeting, and Getzlaf tried to describe what it was like to win an NHL championship and to achieve the dream of being a Stanley Cup champion. For many, a trip to New York isn't complete without a meal at Del Frisco's Double Eagle Steak House. The legendary restaurant has been located across the street from Radio City Music Hall since 2000, and with but a glance, you can realize why it's such a favourite  floor-to-ceiling windows that overlook one of the world's most powerful neighbourhoods. The Stanley Cup was taken out of its case and many lunch-time patrons politely asked if they could see the legendary chalice. When asked for the bill, the general manager replied, "Thank you very much, but there will be no bill for you today. Bring the Stanley Cup here and you don't pay at this restaurant!" Ryan, his girlfriend, the NHL staff and the Cup Keeper were most grateful for the generous and hospitality. After stops at VH-1 and Daily News Live, the Stanley Cup was packed away for the night. Meanwhile, Ryan and his girlfriend attended 'Late Show with David Letterman'. Tuesday's start was a 9:15 AM visit to Sirius Satellite Radio. Ryan Getzlaf and the Stanley Cup dropped in on several shows, including 'The Opening Drive,' an NFL radio show featuring hosts Bob Papa, Randy Cross and Cris Carter. Then, Ryan had to have his arm twisted (but not very much) to go to Maxim Radio, where he visited with Bower, a guy who likes his women hot, his cars fast and his metal heavy. And, as the Stanley Cup weighs 34½ pounds or 15 ½ kilograms, hockey's championship trophy qualified! Although he left the Stanley Cup safely on the ground, minded by the Keeper of the Cup, Ryan took a helicopter tour of the Big Apple. Upon his return, he collected the Stanley Cup and ate at the ESPN Zone Sports Bar. Chris Pronger kicked off the Stanley Cup's official 24-hour visits to Anaheim Ducks players and staff, and chose to take Lord Stanley's Mug to Dryden, Ontario. To get there is no mean feat. The Stanley Cup flew from New York to Winnipeg on Tuesday night, then was driven across the Manitoba/Ontario border to Dryden, a four-and-a-half hour drive over 220 miles. Although the area on which Dryden now sits was likely an aboriginal village, like so much of Canada, it took the railway to open up the area for settlement. As the Canadian Pacific Railway ran through the area, enterprising settlers with a sense of pioneer spirit built homesteads, and it wasn't long afterwards that a mill sprang forth and then gold was discovered in the area. Voila! A town was born. Although traveling by plane and car now, and not gold but an equally rich treasure, the Stanley Cup arrived for the first time ever in Dryden, 'Ontario's leading small city,' where the Ducks' big defenseman was born in 1974. His first stop was at the home of a friend living on Thunder Lake. This was a special stop, incorporated into the day's itinerary because his friend is facing a monumental battle. Although she had attended Games One and Two of the Stanley Cup Final, her struggle has increased. "I just wanted to share the Cup with her," smiled Chris. 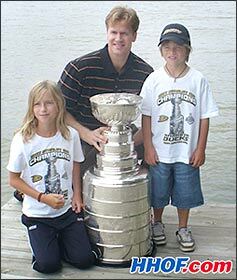 At his parents home in Dryden Ontario, Chris Pronger & the Stanley Cup posed with relatives, close friends and neighbors. Chris then took the Cup over to his parents' home, where he grabbed a bite to eat along with relatives, close friends and neighbours. About 45 people stood in awe of the trophy, and when Chris thanked those who meant the most to him for their lifelong support in achieving this dream, the room looked like a puddle with eyes! Photos were taken as priceless souvenirs. At 1:30, it was off to the firehall, where a small entourage led Chris and the Cup through the streets of Dryden to the Dryden Regional Health Centre, where the big defenseman spent time with fans in the chemo unit. Then, the cars drove from the hospital to the arena on Whyte Avenue, where a civic reception began at 2:30. More than 2,000 jammed into the Dryden Arena and Recreation Complex, where Chris first pulled on skates at the age of four and where he played until leaving home to join the junior Peterborough Petes. After being led into the arena by a piper, Chris Pronger, carrying the Stanley Cup effortlessly over his head to the delight of locals who had been waiting anxiously for several hours arrived on the stage, the front of which was adorned with every hockey jersey he had ever worn. 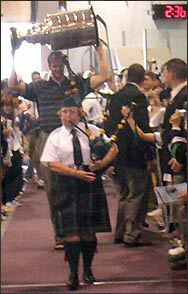 Preceded by a piper, Chris Pronger arrived at the Dryden Arena and Recreation Complex and was welcomed by over 2,000 members of the community. Jack McMaster, the Director of Education for the Rainy River District School Board (and one of Pronger's former coaches) was the master of ceremonies. Mayor Anne Krassilowsky was introduced and said a few kind words, then presented Chris with the key to the city. The key, shaped like a hockey stick, is an honour bestowed upon citizens who bring pride to the community, and no matter the size of a city, town or hamlet, when a local boy brings home the Stanley Cup, it's indeed a reason to celebrate. Dryden High School, Chris's alma mater, then announced that his jersey #14, worn when Pronger was in Grade 9, was to be retired. But the biggest honour was when it was announced that the second pad of the arena was to be re-named the 'Chris Pronger Arena'. Even at 6'6" and 220 pounds, a moment like that softens even the toughest of warriors. "It's nice to bring the Cup home to the people you grew up with and who supported you all the years you played minor hockey and all the way up through the ranks," stated Pronger. "It's nice to see the smiles on their faces when you bring it back." At 5:00, the day that participants had dreamed of for several years was brought to a conclusion. Chris Pronger's triumphant return to Dryden had been overwhelming for the Ducks' assistant captain, to say the least, but the Stanley Cup now had to be driven to Bemidji, Minnesota, a five-hour, 230-mile journey across the Canadian border into the United States. 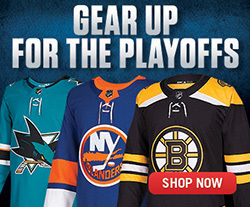 Whether you're American or Canadian, Stanley Cup Journal hopes you enjoy your holiday. Come back safely on Tuesday to spend the day with winger Joe Motzko. Kevin Shea is one of the contributors to 'Travels With Stanley' by The Keepers of the Cup, a book of geography and history lessons taught through the travels of the Stanley Cup (Fenn Publishing). 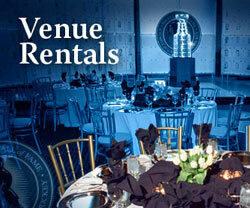 All Photographs are property of the Hockey Hall of Fame and may not be reproduced without prior written consent. For more information regarding use of our photographs please contact us.